The Snipping Tool was introduced in Windows Vista for the first time and also exists in Windows 7. With the Snipping Tool you can capture text, graphics, and any associated annotations and then save them in your desired format. Unfortunately, Microsoft has not defined a default keyboard shortcut for the Snipping Tool in Windows 7. It’s a pain to have to dig into the Start menu to find the tool quickly. 1. Go to Start, Accessories, right-click on Snipping Tool and select Properties. 2. Move to the Shortcut tab. 3. Select the Shortcut key box, and then press any desired key as your shortcut to the program. For example, press the S key. 4. 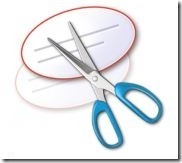 Windows will define the new shortcut to the Snipping Tool and will also add Ctrl + Alt as the prefix to the shortcut. 5. If you have assigned the “S” key to Snipping Tool, then you will need to press Ctrl + Alt + S to launch it. 6. Click Apply and remember your new keyboard shortcut. Thanks to IntoWindows.com for this helpful Windows 7 tip. Very good post . Thanks to author.